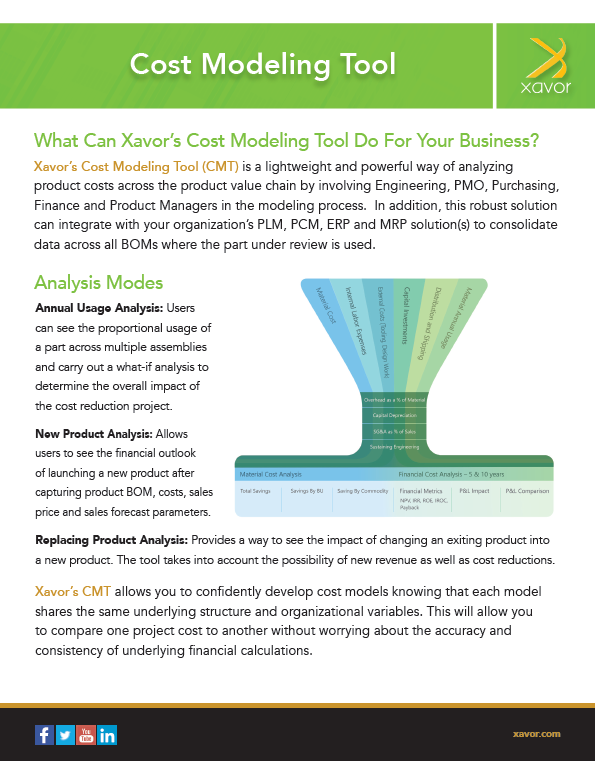 Xavor’s Cost Modeling Tool (CMT) is a lightweight and powerful way of analyzing product costs across the product value chain by involving Engineering, PMO, Purchasing, Finance and Product Managers in the modeling process. 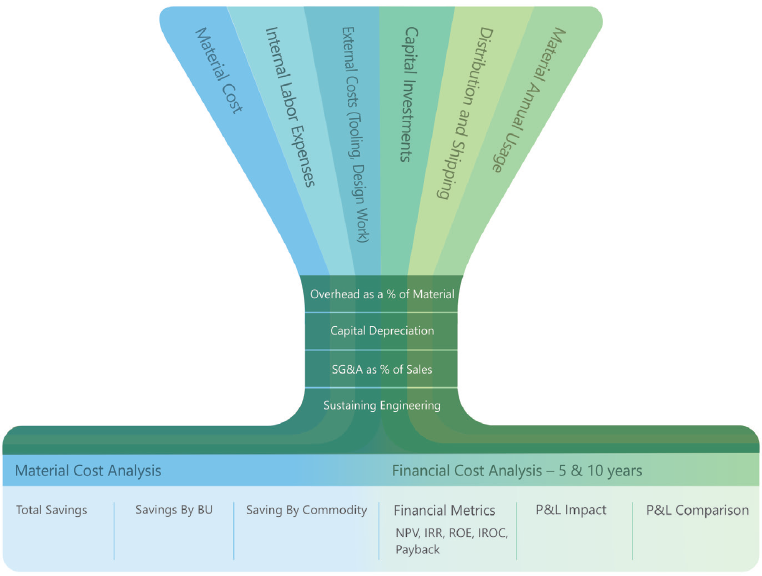 Users can see the proportional usage of a part across multiple assemblies and carry out a what-if analysis to determine the overall impact of the cost reduction project. Allows users to see the financial outlook of launching a new product after capturing product BOM, costs, sales price and sales forecast parameters. Provides a way to see the impact of changing an exiting product into a new product. The tool takes into account the possibility of new revenue as well as cost reductions. Xavor’s CMT allows you to confidently develop cost models knowing that each model shares the same underlying structure and organizational variables. This will allow you to compare one project cost to another without worrying about the accuracy and consistency of underlying financial calculations.